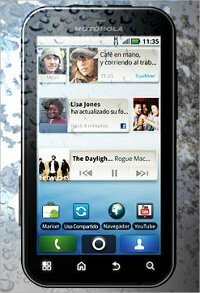 Motorola is reportedly developing an operating system of its own, according to the Information Week. Reportedly Motorola is hiring several web and mobile engineers from Adobe and Apple, a possible indication that it is working on an operating system. A possible reason why Motorola is veering away from Google could be due to the partner support problems. Numerous lawsuits are also there, which is a problem for companies using Android. Motorola, which is using the Android right now, is developing an operating system of its own, according to a report. The report was published in the InformationWeek, who quoted a Deutsche Bank analyst as saying this. “I think Motorola recognises that they need to differentiate and they need options, just in case. Nobody wants to rely on a single supplier (of operating systems),” the analysts said. Interestingly, Motorola chief executive officer, Sanjay Jha had earlier expressed the company’s desire to have an operating system of its own. “I’ve always felt that owning your OS is important, provided you have an ecosystem, you have all the services and you have an ability and the scale to execute on keeping that OS at the leading edge. And I continue to believe that at some point, if we have all of those attributes that owning our own OS will be a very important thing,”Jhahad said. However, Motorola is not coming out with its position on the new operating system possibly as it does not want to give a wrong impression to its current customers. It has reiterated its commitment to Android as the operating system of its handsets. Motorola is reportedly developing an operating system of its own, according to the InformationWeek. Motorola Milestone gets Froyo update and Motorola high end smartphones to have Webtop app.